Seems like I was going about the same formula/process as far as changing my settings to get a sharper image. but I think the sun has been effecting that lately, and I had to keep changing angles to the sun, so adjustments in settings were hard to do inbetween the action times of this green-back. So part of the problem is, I had to shoot when I had to, without time to adjust properly. Re: Fail on EPIC porportion... 70-300 advice? Answering your questions about image quality on these pictures would be a lot easier if they included exif data. I looked at them on flickr and to me they seem just ever so slightly out of focus, but the possibility also exist that there could be some motion blur. If in fact the problem is focus then there are two likely culprits. The first is that you lens is front or back focusing. This is a common problem on DSLRs. Most better cameras have the ability to 'fine tune' the af system to correct for this. AF fine tuning is not rocket science, but its also not trivial. A common free method for af fine tuning a lens is called "dot tune", you might want to research that and see if you can adjust the af system for better quality. The second possibility is that the camera's af system is just locking onto the wrong subject. In the background of these pictures there are blades of grass and other vegetation that unfortunately provide exactly the kind of linear detail af systems look for. Basically if your subject does not occupy pretty close to 100% of the area inside the little af frame there is a good possibility the af system will grab hold of the background vegetation instead of the bird. If the problem is not focusing accuracy then it could be motion blur. When photographing action like you were doing here I usually use a shutter speed of at least 1/2000 sec. Anything much less is going to result in blur with a moving subject. This is an oversimplification. With some moving subjects you can get by with slightly slower shutter speeds and with others even 1/2000 will be too slow. It takes practice to know what you need or can get away with, but 1/2000 is a good starting shutter speed for this type of shot. Again if the exif were here we could see what the shutter speed is. Finally, the possibility exist that it just isn't a very good lens. I own a Nikon 70-300vr which is considered one of the better lenses in this class, but as good as it is, it is definitely at its weakest at 300mm and wide-open. Its still acceptable in my opinion but a couple other lenses reaching 300mm that I've used in the past are noticeably better. Some of the cheaper 70-300 zooms that don't use ED glass etc. would be even worse. Even if you have one of the better 70-300s, you could just have a bad copy. Perhaps one that took an impact at some time in the past and needs to be repaired. Could these settings have something to do with the focus on the back ground objects? I took another look at your pictures on flickr and I still can't see the exif. However, I really don't need to. I also looked much closer at the background in magnified view and its pretty apparent that the lens is back focusing. For example look at the 2nd picture with the beetle and check out the green blade of grass that is below the bird's eye and cut off at the bottom of the frame. The one that's also crossed over by an out of focus diagonal piece of dried grass. See how sharp it is? Much sharper than the heron and it is nowhere near where your af frame would have been if you focused on the birds eye. (PS, single point af like you have set is the mode you want here). The situation is similar in all the other pictures. I'll bet if you af fine tune that lens your sharpness will improve dramatically. Metering has to do with exposure not focus points, or sharpness. As pointed out, your AF or MF point wasn't set on the Heron correctly, however I feel like there is some motion blur to some of the images. Although you seemed to have been shooting at a high enough shutter speed, if you open up you aperture a bit more (F/7-9) it would have increased your shutter speed a bit more, and may have resulted in some better results along with correctly placing your focus points. Yes, like I already mentioned, movement was a contributing factor as the bird was eating viciously. But link I mention before, the first pic of this post was taken while the bird was not moving...and the eye came out blurrier than Im used to. Porter wrote: Ifixed it! It was the matrix metering that had things screwed up. I dont know why...I went out and tesred metering settings on a bullfrogs head and spot metering definitely improved it a lot. Let's not forget, that exposure, is a determining factor in the outcome of a photos quality and as I explained in the Dark Exposure Help post within the image lab forum, that by using dark, I am able to get a sharper image. I thought more about this concept that I disgusted with Chrish... and I think my $70 samsug poin-n-shoot days has something to do with it. Many people disregarded my skills as a photographer back then, and I remember you saying yourself that, "that samsung sure does take good photos." ...but in peoples assumption of the camera doing all the work, they overlooked the fact that I was shooting with the cheapest camera (reduced price, on sale because no one would buy it lol) that Walmart had to offer. First, every shot I took with that samsung was with the auto settings option on. I explained several times back then that I could only shoot photos with it when the sun was at my back, during 2-3 o'clock morning sun postion or 9-10 o'clock evening sun position. This is because that was the only lighting conditions that gave my a sharp macro-like image with brilliant color. This was something I learned on my own in a desperate attempt to impress a woman field herp photographer because I couldn't afford a DSLR. There is no article I read to learn that...it was trial n error and jedi like light manipulation. Chad, remember when we went on our SoCal desert trip together. Well, I had already been shooting with that samsung for like two years before that trip and had my methods down good. I also had been practicing night shots with the flash and figure out a even more important concept that resulted in me getting sharper images than your dslr shots which surprised me even more than you! Light reflection... the art of geometry if you will. Its very similar to billiards. Before that SoCal trip, I took several herp in hand shots in the dark with treefrogs and gopher snakes. Then later took those concepts to the field at night. 97% of my shots came out overexposed. And the bright light of the exposure made the shot bury and colorless.However, by using my knowledge of geometry, I figured out a way to manipulate the light. Each time I moved the slightest bit, I was lining up for that perfect trick shot. Light reflects off of the angle of the grass blades in a perfect geometric angle that is absolute. Some objects bounce light back at the camera, some shoot off into the dark, and some bounce into each other. So each shot you take actually looks something like a room full of tripwire laser beams criss-crossed in every direction. But if you send enough of those beams off into the night where they wont reflect back into the shot, then even with a cheap point-n-shoot on auto settings that produces nothing but overexposed crap, you can jedi knight the light, and trick the camera into taking an underexposed picture which is sharper than what everyone believes to be possible. You should write a photography book. Antonsrkn wrote: You should write a photography book. "How Kurt Cobain Taught me Everything I needed to Know About Photography"
Of course, no one would be able to read it because he is too insecure to write anything down and then leave it there to be held accountable. Nothing insecure about making a conscience decision to overcome the urges veer off subject in self defense when the outcome can only result in embarrassing your opponent. I already wrote a book... chances are, you've read it Richard Backman? Porter wrote: Nothing insecure about making a conscience decision to overcome the urges veer off subject in self defense when the outcome can only result in embarrassing your opponent. Thank you so much for saving me that embarrassment. Could you do us all a favor though? Could you try to combine your rants and off topic responses into one big post that than 20 one liners? My post... my subject, that you guys took off topic and I counter balanced... I don't mind me writing one liners lol If I delete them, youll say I'm insecure, right? Lol It wasn't you I was saving from embarrassment... Chad hasn't posted for like 7 months to a year. And this where he pops up first I know exactly what he is up to. ...quit stalling and draw your saber Sith lords! Best tongue flickr and/or dragonfly flight shot. Until then, I have the high ground and you have no leverage to school me on photography aspects that I have not requested help for. I understand you want to take credit for my last photography post this last year, but you are too late, for I am finished with me photos and proud of thyself. Here's a metaphor for what you guys are doing... I ask what style of sandals are the most comfortable. You guys respond with, "you shouldn't be wearing sandals, you should wear shoes. Since you don't wear shoes, you must not know how to lace a shoe...let me teach you how to lace a shoe!" It's not that I don't know how to lace a shoe... it's that I prefer to wear sandals. But, you guys are insisting to the viewers reading this post, that I can't tie a shoe. That is metaphoric perfection of the Sithiness at play here, whether its intentional or not. This is the same horned lizard. It was photographed on opposite sides of the road. As chad pointed out, I do have the light reflection problem all figured out. Problem is, 48 hours with no sleep results in poor decision making. The two unedited/unphotoshoped shots where taken before the colorful one. I pulled over and set up in a covet/pocket of shiny reflective rocks in a tired stupor. It was very blindingly bright from how I remember it and when I realized I was going against my methods, I walked across the street to photograph there instead. Like I mentioned in the book above, light particles are like a cue ball ricocheting off reflective objects and when you are in the desert, there are more sun reflective objects than other biomes. I think is was that damn slate... Im no rock expert, but the two dark shot were taken right at the bottom of a huge cliff/mountain/drop off outcrop that was full of that shiny reflective desert rock. Across the street however, the light bounces away and/or shines over the rock and subject...NOT back at the camera where in can reflect from the lens, onto the subject, and then back to the camera from the reflective scales. Because of the sun being at my back and shining past and away from me and the subject, the color information was not lost in the process. Chrish, I complimented you joyously on your fixing skills with the dune pic on the other post topic... I do not have the tools to fix these shots but they are more important to me than the dunes. If you or anyone else can fix these to where they look good and not crappy with no color, I would be impressed and greatful once again. Same lizard, so the colors should look close to the colorful pic... I also have an in hand shot from the same shiny as hell outcrop, that was taken right in that same little cuby hole. More deluted in color, but may help a little for color matching. I'll upload and post that photo next. Chad hasn't posted for like 7 months to a year. And this where he pops up first I know exactly what he is up to. Actually this was my third post. I also honestly replied to help you, not to discourage you, but as per normal you took it completely in the wrong direction. Chad M. Lane wrote: Metering has to do with exposure not focus points, or sharpness. There was no need for you to post that comment, other than to boast and point out that I was wrong about something. Which I am apparently right about.... I changed my metering setting and the problem was fixed. I also wrote that I had figured that out, and posted that I had fixed it, before you posted you comment. Clearly you've taken it out of context yet again, as I previously stated I honestly replied to help you and confirmed what other had seen, there was absolutely nothing personal about it, yet that's exactly how you took it. Nice exposure on that last phyrno shot by the way. That was the prettiest I've seen there. The blue coloration is common for that locale, but I've never seen one that livid... I think it may have shed recently. Those bluish tones show up in the whipsnakes there as well. The problem with the two horned lizard shots is that they are underexposed, nothing more complicated. Here's how I can tell. Assuming the lizard was in bright sunlight (based on the sharp shadow), you can apply the sunny f/16 rule. There is a lot about this rule online if you aren't familiar with it. It says the correct exposure in bright sunlight at f/16 is the inverse of the ISO. So in your case with ISO 100, the correct exposure would be somewhere around f/16 at 1/100th of a second. You chose f/13 which lets in more light, so you need to increase the shutter speed to compensate. You went from f/16 to f/13 which is one-third of a stop "brighter", so that makes the correct shutter speed need to be 1/3 of a stop faster, which is around 1/125th. So the correct exposure under the sunny f/16 rule should be around 1/125th at f/13. But this assumes a neutral toned subject and background. The big dark area of the rock isn't really neutral so the sunny f/16 rule would make that dark area come out too light. So we might want to cut the amount of light a bit more by increasing the shutter speed a bit, say to 1/200th or so. So if you were manually calculating this exposure the old school way (with no camera meter at all), you would probably start with ISO 100, f/13 at 1/200th of a second and you should get a usable photo. Your EXIF data says you shot this at ISO 100, f/13 and 1/640th of a second. So your shutter speed was too fast (by about 1.67 stops because 200 to 400 is one stop, 400 to 640 is 2/3 of a stop) and you didn't get enough light on the subject in that amount of time the shutter was open and the shot comes out underexposed. That's how it works, really. Now, if you are using your camera meter to tell you what shutter speed and f/stop to set, why is it doing this? Looking further down in your EXIF data I see the value "Exposure Bias - -7/3 EV". This setting means the camera is set to underexpose the photo by 2.33 stops. I'm not sure how or why your camera is set to do this (it is set by setting the exposure compensation). So the camera was automatically set up to underexpose by 2.33 stops. However, we actually needed about 2/3 of a stop of underexposure due to the subject (which is why I went from 1/125th to 1/200th of a second). So your photo ends up underexposed by 2.33 (set in the camera) - 0.67 (the underexposure it actually needed) = 1.67 stops underexposed. And that's exactly what you got with your setting of 1/640th of a second! So based on my reading of the EXIF, you camera did exactly what it should have and is performing perfectly. You need to get into your cameras menu system and turn the exposure compensation off. Then your photos will come out correctly exposed when you follow the camera's meter. From day one macro, I took some pics with auto setting on and realized that wasnt going to work. I posted a bury pic of a slender sal with just the eye in focus, and RobertH contacted me to tell me I should be able to get better DOF. I tried his suggestion however I probably didnt understand him because I had to do the opposite to get good detail on a daddylong leg (lol which I realized later, only worked because there is a less amount of DOF required in comparison to a slender sal). So, then I txt Chad. I would text him at least another 50 times over the next 4 months, asking the same questions because I could never understand what he was saying It took like 20 messages in one day for me to finally get something useful out of him like,"ISO causes grain" then once he finally said that, I knew to adjust iso if the grain wasnt right. So then Owen Holt started posting his photos on Flickr and I went to the photos I liled and then set my camera up like the photos of his I liked. Dragonfies. So his settings got me in the ballpark and I adjusted from there to get the best result each time. I am aware of the 16 sunny rule. I tried it, but at 100 ISO I think it just came out too nasty ugly dark looking or something. I cant remember why I didnt like the rule, but I remember the results were in less quality than other settings I manually adjusted myself by trail n error, pointing at a sticker bush and feeling out DOF and detail to my liking. Hers how I go about photography.... First I decide how much DOF I want...what should look clear and what should look blury. Then I manually change my settings (dials on the outside of the camera) to get it as sharp as possible. Through close to 7000+ photos of trial n error, I figured out that taking a slightly underexposed pic gets me sharper detail and a color scheme that can be manipulated in photoshop cc and have a natural look. The photos I took that were exposed correctly like you are taking about above, never had as much detail and when I later increased saturation or vibrance, the color looks fake and unnatural. 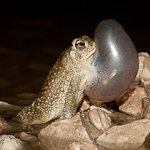 When I look at that pic of the horn toad that you brightened, it dosent look natural to me. When I use the settings that you and the internet suggest I dont like the result because it looks like that brightened horned liz shot. Too white and not much color. when I was standing there holding that toad in my hand and looking at it there was much more color in it and that rock didn't look as dull as it does in the photo... That rock was beautifully colorful. when you darken a "correctly" exposed pic from bright to dark, it Appears to look sharper because the Shadows are darker. however what I noticed about my method is that I take a dark exposure and then lighten it up and the detail is still there (more detaol!) it doesn't get blurry and still has sharp lines. That's why I choose my method instead and always shoot slightly underexposed photos. better color and better detail results. I will try turning off the exposure compensation like you suggested. I understand what you're saying for the most part, I think, LOL and I think that may have something to do with the blurriness or dullness Ive been getting. however like I said before, this is my last year of shooting photography and I may shoot a newt or treefrog once it starts raining but I'm done with photography. there is no opportunity to impress a woman in the field herping community and so I have no reason to stay, period. I went out one night with Chad to shoot some night Photog with his Flash. he couldn't figure out how to adjust the aperture or something because the way my camera is set up, you have to push a button and hold it down in order to adjust it which he figured out after tinkering with things for a good 5 minutes. I don't know what else he changed in the camera, but he was setting it up for night shots. he has a full frame camera, I think, and so things are a little different from what he explained to me. when he set up the camera, I still couldn't get the rattlesnake tongue to come out Sharp... So out of frustration I think I just put it on the running man setting on the camera and I got this tongue flicker shot I will post below but then again maybe I'm wrong about changing that setting because it was a long time ago and I don't remember. the next time I use the camera, I got this shot of this incredible storm below but my battery of the camera was almost dead and I was only able to get two shots... And then the camera died. the iso setting was changed for night photography and I lost the shots which I could not express how mad I was about that LOL Because it was so windy, the shape of the clouds changed before I could recharge. So i took cellphone video instead. but I realize it wasn't chad's fault, I just needed higher ISO for that night shoot. I ended up changing it and making the grain go away later. but perhaps Chad adjusted that exposure compensation Setting for the night photography? I have no idea and night photography with a flash is a mystery to me and I will not do it. thanks for your help Chris I know you have a lot more knowledge on the subject and I was never trying to insult you in any way. I've had to figure this out like a caveman and you giving me help now is unimportant. however I think it may be important to other readers so it's good that you explained through this stuff. I'm just like this... I pick up a guitar and I mess around with it until I get sounds out of it that I like...which sound a lot like Kurt Cobain and Jimi Hendrix, because I like how their guitar playing sounds. but it's all by ear and basic knowledge of chords really... and I think I read somewhere that Hendrix learned guitar by playing by ear,which I think kurt probably did too, and so I've always held on to that mythology in coming up with my own style from a more pure and untouched beginning. So, see these dials in the screen display... Basically I just adjust them to find a good balance between the two. I asked Chad and the other photographers where's the good balance..? how do you find to this..? where's the Kush spot like driving clutch on a manual transmission? ...and I realize they couldn't answer that because that kush spot changes, depending on lighting situations. but I figured it out good enough to get good enough macro shots and thank God this freaking year is over!!!!!!! Ok, here are the pic references i mentioned above. Now, I'm not a hundred percent sure if I had the running man setting on to get that tongue flicker shot. I remember that was one thing I tried because the settings the Chad set up for me weren't working and everything was coming out too bright and too blurry... Especially the tongue flicker. Now, I had taken plenty of crisp sharp tongue flickers shots before that night using the method I had already figured out. so I may have just set up the camera how I knew it would work and took that shot... I honestly don't remember it was a long time ago and I don't give a f***. The exposure bias on the Rattlesnake shot is 0, I didn't change it, and I'm with Chris, no idea why it would be set so low, (I use it on my camera, and have never needed to use it so low). I would never have "changed" you setting in order to "mess" with you, or anyone for that matter. You have an entry level less manual(fine tuning) DSLR that I was completely unfamiliar with. Yet you've got one of the nicest night images in my opinion that you've taken, but beauty is in the eye of the beholder. Also to touch into a little of what Chris was saying, you had your camera setup to dramatically underexpose images, which is why the first images were overly dark, and you had to drastically overcompensate for that. Chris then went to show you all he did was adjust the exposure and nothing else and it turned out fairly well. No, the horn toad lizard doesn't look good...at all! However, Im gonna fix it, but I still dont know if it will end up on the cutting room floor or not. It appears to have too much detail, qhich I was going for, but didnt qant to push it quite that much. The shiny rocks and reflections of light have pushed it to a point that I may not be able to make it look real. 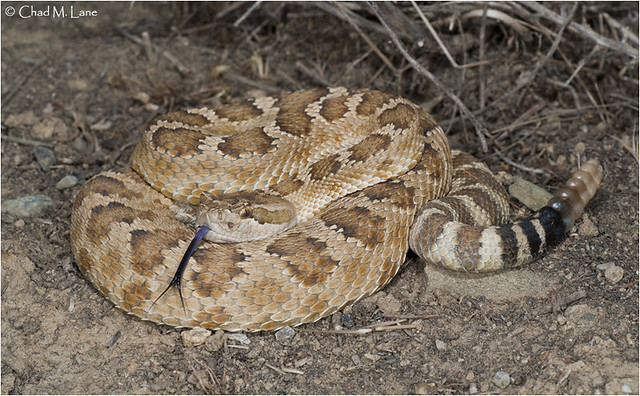 That rattlesnake had all the color, naturally displayed, and was dark like the horn toad shot before I enriched it. Now if you took your photo and enriched it, it wouldnt look natural because you shot was taken too bright... the peach coloration of that rattler was incredible! I remember seeing that before taking any pics that night and thinking, awe cool... what awesome colors. But in your photo it looks like a snake native to the foot of the foothills in placer el dorado county... El Placer Dorado palegreys. This is why I underexpose my shots. Shooting like you guys only results in too much white and a dulled out version of what there. Heres the video link: https://m.youtube.com/watch?v=zwFA0LdHYbQ. Ok, figure 1 is a visual display of the situation Im trying to describe for the peach rattler that both chad and I photographed together in the pics above. Like I said, Chads settings didnt work to my liking, so I chose to take an underexposed photo to capture the peach color pigment reflections. 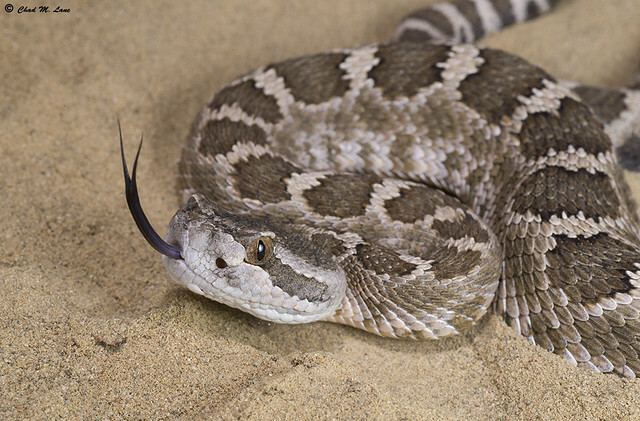 We photographed that snake in a little cuby incut of a large boulder/outcropping like the picture displays. Not only that, but on sand no less which is highly reflective because of all the angles (pool table side) available for light to reflect BACK at the camera. The green and blue represent separate paths in which particles of light travel in, when the flash is fired. There are millions shooting out simultaneously...this is only two possibilities. Figure two displays the situation with the Yellow rattler. You can clearly see, that chad had better results capturing the natural color when photographing this snake. The reason is, the majority of the particles bounced away from the reflective lens, not back towards it. Like I mentioned about the duct tape situation in the Dark Exposure Help post, and the gloomy clouds, ect... when I shot the dark horned lizard shots, I was standing in a large cubby hole incut. Much like the situation of the peach rattler. Except I wasn't using a little flash mounted on my camera...I was using the sun...the...SUN...ya know, that big ball of light in the sky When I snapped out of my stupor from serious lack of sleep and went across the street to photo the toad...I was shooting in a situation like the yellow rattler. Here is a visual display of the visual display ( ) that supports my methods even further. Both taken with my cellphone. Look at what happens to the blue and green colors under the flash and reflective paper. So then I went outside, put the sun at my back (3pm ish light) and took a photo with the flash off. What did the auto settings do....? Purposely underexposed the photo! When I was on facebook, I cant remember or count how many posts I read about people taking herp cellphone pics that were equal or better than their dslr camera. Cellphone technology knows! There are no $5000 dollar lens opportunities for cellphones buyers, so they just give ya the right technology. Now for dslr...there is a lot of money to be made there. This is why people dont like people like me, kurt, or jimmy... we bend the rules to get a better result. Now, RobertH has told me more than once that my photography has always been an inspiration to his son, Nick. And I see the same results in his photography. How did he pick it up so easily? Kids are sponge-like...they absorb knowledge more easily because they are not yet set in their ways. Same way I learned from listening to cobain and hendrix! I just listened... I dont agree with everything those guys did though!! I will NEVER commit suicide (if he even did) I DONT do drugs, dont smoke cigerettes and never have even though both of them did, ect... So, Nick has definitely incorporated his own methods and I hope he has only been influenced by my photography and none of my childish arguments, hand catching rattlers (which I have stopped, thanks to Jim Bass and Chad Lane) or any things he has read and possibly misunderstood. He will become a far stronger photographer than I ever will be largely due to support from his father and important people within the FHF community. "Selfish" in regards to field herping... not true love! There is nothing selfish about love!